Verizon has announced that they will begin taking preorders for the Samsung Galaxy S3 early this morning (June 6) at 7am Eastern time. Price wise, the Verizon Galaxy S3 will start at $199, according to Verizon’s website. That’s priced with the activation of a new 2 year Verizon Wireless voice and data plan. We can assume the $199 is for the 16GB S3, though we won’t know for sure until later this morning when the preorder page comes online. We also expect a 32GB model to be available. Verizon is not saying yet when the phone will actually be delivered or hit stores – but we expect all those details will be revealed at the 7am start of the preordering phase. 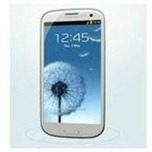 The US launch of the Samsung Galaxy S3 is expected to be one of the biggest US smartphone launches this year. Details of preordering dates and launch dates on pther US carriers is making its way into the newsroom. Keep an eye on our Samsung Galaxy S3 page for the latest. Verizon’s preordering page now up for business. They have the 16GB version priced at $199, the 32GB version priced at $249. Shipping by date? Not ’till July 9!